A star is born. 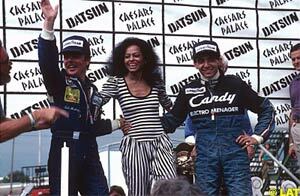 Standing next to Diana Ross and a jubilant newly crowned World Champion Keke Rosberg, Michele Alboreto grabbed his own piece of the spotlight with his debut win in the Tyrrell 011 Ford-Cosworth against the slightly ridiculous backdrop of the Las Vegas circuit, laid out in the car park of the Caesar's Palace Casino. 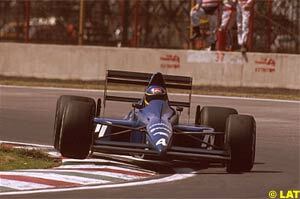 A year later, same Tyrrell 011 Ford-Cosworth, same driver, another American street circuit. In the now unfashionable Tyrrell V8, Alboreto managed the bumps of the Detroit and brought home the last non-turbocharged win in the turbo era, and the last of a remarkable 155 wins for the Ford Cosworth DFV engine. An Italian at Ferrari. after many years of not hiring his fellow countrymen, Enzo Ferrari seemed convinced of this young Latin hotshoe, such was the promise he'd shown at Tyrrell. The familiar helmet painted in the colours of his slain hero, the Superswede Ronnie Peterson, here Alboreto races to his first win for the Scuderia, at Zolder aboard the Ferrari 126C4. 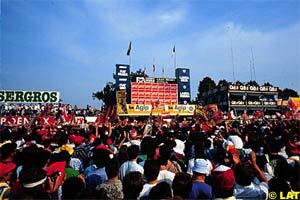 The high point of Alboreto's career. Against the slightly surreal backdrop of the old World Expo site, Montreal saw Alboreto lead teammate Stefan Johansson home for an impressive 1-2 victory for Ferrari, at the Ile Notre-Dame in Montreal. 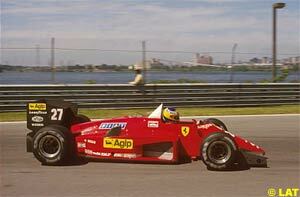 In 1985 Alboreto finished second in the world championship behind Alain Prost. 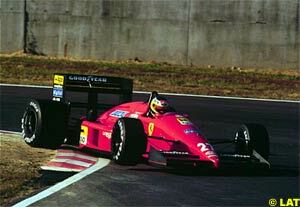 In the early part of the season, Alboreto and his Ferrari 156/85 was the only driver to trouble Prost. 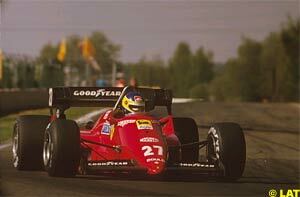 After Ferrari, Alboreto returned to familiar territory and a Tyrrell-Cosworth. This, the 018, was not a front runner, however an excellent drive at Circuit Hermanos Rodriguez in Mexico City brought home third place for Alboreto. 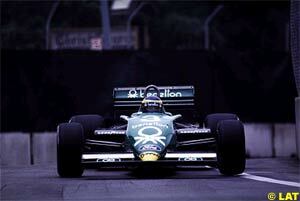 Part way through the season Alboreto left Tyrrell for Larrousse. One last point. 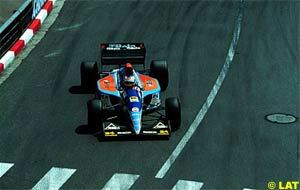 Monaco 1994 and Michele Alboreto brings home one of those rarities, a Minardi point scoring result. In the Minardi M193B Cosworth, Alboreto used his experience to beat home a lot of classier cars. 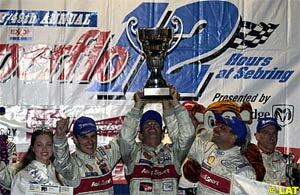 A win as big as any of his five Grand Prix victories. 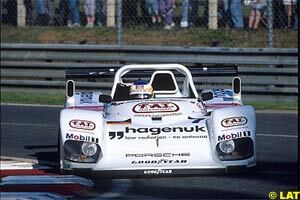 Racing the Joest-Porsche prototype, first built by TWR as the Jaguar XJR-15, and later raced as the Mazda MXR-01, Michele Alboreto, reunited with his former Ferrari F1 teammate Stefan Johansson, and present day Audi teammate Tom Kristensen, they out ran and outlasted the GT1 class opposition, including the 911 GT1 cars the Porsche factory backed, to take the win in the toughest race of them all. 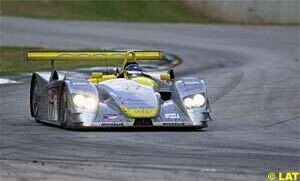 Alboreto steering the Audi R8 Roadster around the sweeps of Road Atlanta on the way to Petit Le Mans victory with Scot driver Allan McNish. Alboreto's last race victory, and a great win it was too, co-driving with Italian Rinaldo Capello and Frenchman Laurent Aiello and driving the same model Audi R8 Roadster he would be driving weeks later at the Lausitzring, Alboreto would claim the Sportscar classic, the Sebring 12 Hour, leading home a 1-2-3-4 for Audi.